The 7th June 1861 was the date Rev Patrick Brontë died. The BrontëSociety is holding its usual June weekend church service at St Michaels and All Angels, Haworth on the 7th June 2008. Patrick is not mentioned on the member's leaflet about the church service. However, Sir James Roberts is mentioned, for we do not decry the generous gift of the Parsonage to the Brontë Society for use as a museum in 1928 - eighty years ago. An interesting fact about the Brontë Society AGM in 1927 held at Healds Hall, Liversedge, is that it was put to members that a fundraising effort was needed to purchase Haworth's Church Parsonage as the current museum was becoming too small. The Church trustees were looking for a price of £3000 to build a new parsonage home for the vicar. Sadly some of the founder members of the Society, who worked very hard putting a lot of time and effort in to establish the Society and the first Brontë museum, did not live to see the Brontë museum move to the Parsonage in August 1928. Next year, it will be 200 years since Rev Patrick Brontë came to Dewsbury as a curate and it is hoped the Society will acknowledge this fact. 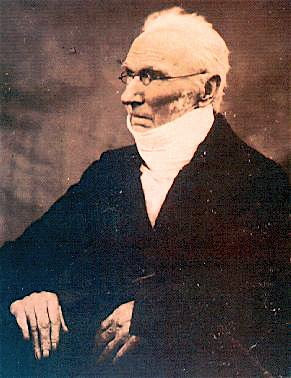 Mr W W Yates who was a prime instigator in setting up the Brontë Society and its first museum was on the Society's Council, and at one time, its chairman: one of his daughter's, Anna, was also on the Council. Both worked for the Dewsbury Reporter newspaper and are buried at Dewsbury Minster where their gravestones are still standing.